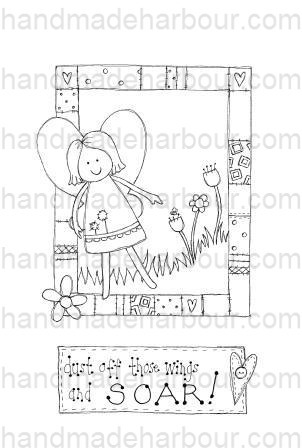 I'm thrilled that people are starting to write about using my digi stamps for their card making! I want to share with you a tutorial about using digital stamps that Felicity wrote. 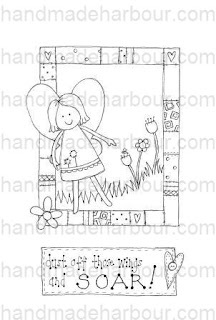 Pop over to Felicity's blog to find out more about what she did with my cute fairy digi stamp! I'm also thrilled that I've started to receive applications for the Handmade Harbour design team. Up to now, I'm very impressed with the high standard of the applications. But there's room for more, so if you think you'd be interested, here's the Design team Call with all the details.